After Superbowl, Sponge Bob was the new trending thing on the Internet. Now, they are coming back to make you laugh again! Enjoy the memes and make your day brighter. Scroll down! Edgiest meme, anyone can relate! The similar situation is when your phone is 70% at night and you can’t sleep because you got a lot of battery to surf on the Internet. Happens with me every time! I just asked for one of you and you are at my altar with millions of you. Sometimes you tap to close on all the tabs one by one and you close all of them. I won’t accept this challenge. It’s not possible for me. Gone are the days when each episode was just 20-30 minutes. And the moment they break it, you just run and go over mommy and tell them that they broke it, so you get the new one! I don’t want to feel embarrassed at the gym. Well, what did I do? I started doing cardio for the day and chose the time when the gym was an empty place. Why do you disappoint us every time even after having a strong Internet? 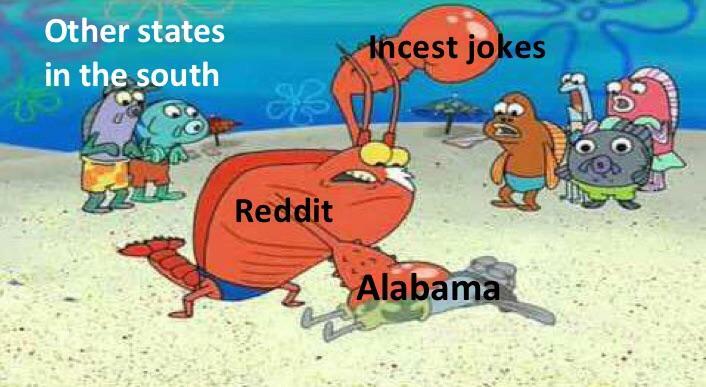 I’m not from Alabama and everyone is freaking out. If we anybody knows about it, just comment!